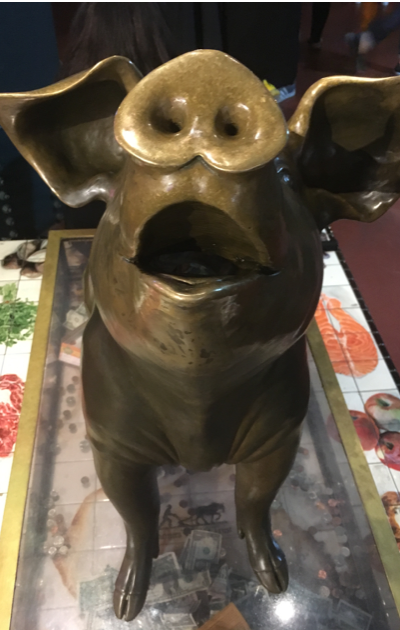 While at a podcasting conference in Philadelphia with my film-maker son this past July I met Philbert the Pig at Reading Terminal Market. 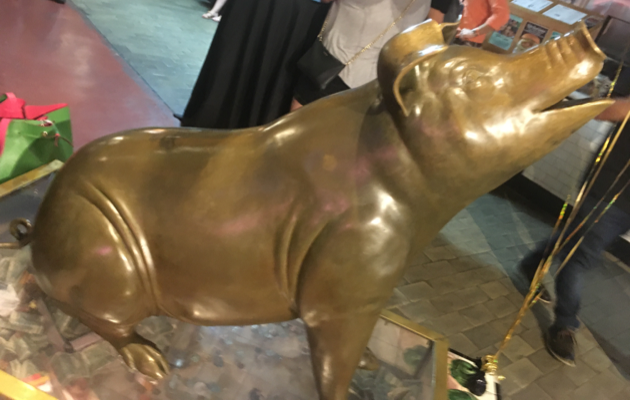 A large, bronze statue weighing 225 lbs and 3 feet tall, Philbert stands with his mouth wide open inviting passers by, tourists, shoppers and diners to pop their small change and dollar bills down his throat to support The Food Trust, a non-profit organization that helps make healthy food accessible to the underprivileged. 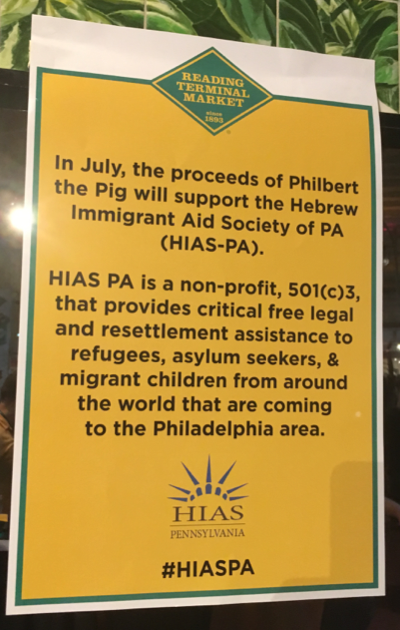 I couldn’t help but giggle at the irony of Philbert the Pig supporting the Hebrew Immigrant Aid Society of Pennsylvania. It did the trick though and caught my eye and my wallet!